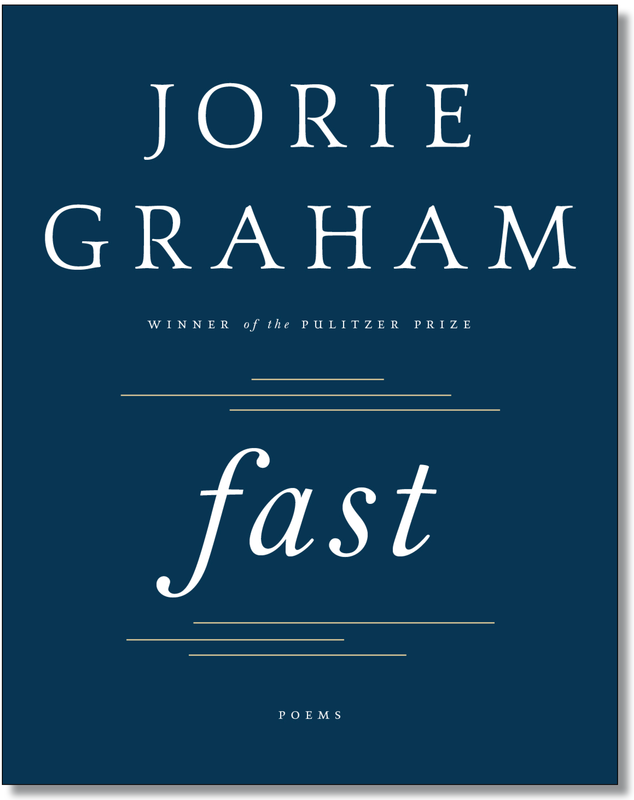 Jorie Graham is a poet I will go to, and go back to, not because she is eloquent, not because she has matched an image to my inner experience, and not because she has the skill of a mason to chisel words into precise form. I will go to her because she has perfected another method for poetry—one that pushes forward in thought, that is able to imagine experience without reducing experience to mere image or to linguistic device. Graham’s method allows for larger scope. Almost any of her poems seems like it could become an epic before it stops (and one often wonders why, or how, her poems stop). Her poems open out on an experience, in the mind, and she has perfected a kind of syntax that stays true to the mind’s weird reasonings, justifications, leaps of imagination, and even its distractions. She has discovered a poetics of phenomenology in which one’s subjective self is mirrored so well that each of the poems can be absorbed as a true experience and not simply a representation of experience. She isn’t at all Frost, who makes a tight little image or narrative out of deep subjective experience. She allows subjective experience (in this case, imagining the horrors of the experience of deep water trawling as an environmental disaster) to be itself, to present itself in all its distractedness, its wavering. She shows how the self is always needing an anchor, something to ground itself in certainty, in a morality, in an identity, in an ideal—but how those keep slipping from the mind, almost as soon as they come into it. A weakness of almost any poet is the temptation to write from one’s own experience with grief. The feeling is so personally powerful that one feels a poem can swing on that emotion alone. And sometimes it can. Graham delves into the personal in this volume with a half-dozen or so poems that present the experience of the dying and death of her parents from her perspective as she cares for them. The poems are saved from preciosity because Graham’s method saves her from personality and forces her into the experiential, so that as I read I can come to believe in the experience (its emotional qualities, yes, but also its intellectual, rational, and imaginative aspects). In other words, her method provides the scope she needs to avoid sentimentality so that any experience she chooses to write about becomes vital. This is just a taste of the push of Graham’s perspective (to paraphrase from poet Charles Olson, one of Graham’s key influences), of how her method allows for an opening up of the poem into the mind’s tireless push for meaning. Here, though, she is also setting a theme for the latter part of the poem. The river is a medium, as, later, the Internet is a medium. And as mediums they have no being in themselves, but are simply channels whose contents constantly swallow themselves in new content. (And the poet, of course, must also be a medium—uroboros.) So it is not without intellectual heft that we come upon the poet’s contact with a necromancer, who promises to channel the speaker’s dead father. long. It flirts with nothingness. It always does. And Graham always does. Her poems always keep track of the fleeting phenomenal moment, but with the constant threat that it all adds up to nothing much—always flirting with nothingness because she never allows there to be a mooring, never a safe place of sure identity, never a safe idea. She’s a real contemporary poet, a real pioneer, a pathmaker. It’s a shame the Norton Anthology of American Literature dropped her out of its latest edition. N. S. BOONE is an associate professor of English at Harding University, where he teaches general education and American literature courses. His specialty is American poetry, and his publications include articles on Poe, Hawthorne, Twain, Rita Dove, and Mark Strand. Fast. By Jorie Graham. Ecco, 2017.